Similar to the Field Box, this compact and easy to carry set transforms into the ultimate field watercolour set, containing everything you need to paint outdoors. 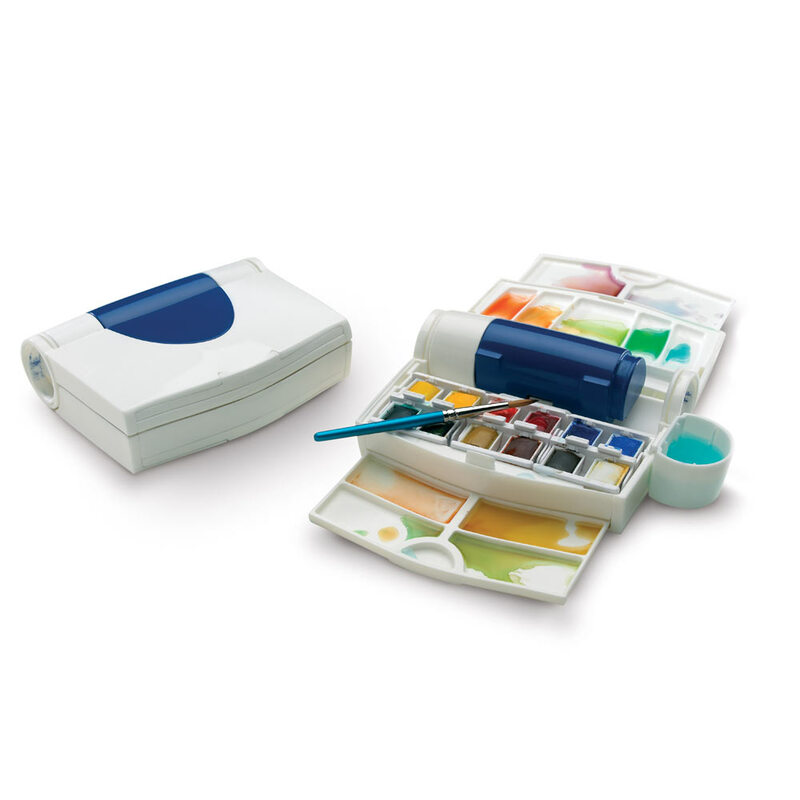 Constructed in durable plastic with thumb ring, the Field Plus opens to reveal 12 half pans of Cotman watercolours, a Sceptre Pocket Brush, Artists' Sponge, 2 clip-on water pots, slide-out trays for mixing and a 60ml capacity water bottle. used these to load the cotman field plus. With this outfit and a Langton watercolour pad I am able to paint, with ease, outdoors,standing or sitting. Very handy for quick sketches on the move, travelling, walking or intentional outside works. The brush could a pocket brush (little bigger) as the one included in the 'Cotman Deluxe Sketchers' Pocket Box', but this is Cotman's matter not yours.